We have got several projects going on in Scandinavia and the USA. For an example we are building cross-cultural food exchange, we elaborate with new, fresh tastes and we even try making the picture of a a cup of coffee smell all the way to you on the other end of the line. If it is working, then we are doing a good job. If you want to join us or if you have great ideas you believe in, don't hesitate to contact us. We offer our services at a very competitive level. 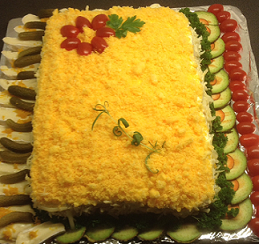 The Swedish Smorgas-tarta is a delicious festive food that works as a great complement to canape's, hot dogs, pizza slices and other food you would offer at a social event or a get-together evening. These Smorgas-cakes can be a way more exotic way to impress your friends with. 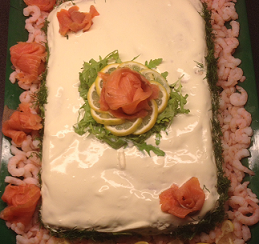 Medison Food is now opening up Swedish Smorgas-shops all around in Scandinavian countries. Let us know if you are interested in franchising. The Swedish people are well known for their innovative minds and entrepreneruship. Medison Food is now working with two young entrepreneurs who are taking on the Pow Spiral business. They call themselves Effort.fe and you can follow their journey on Instragram. Medison Food is now opening up a franchising concept for the POW Spiral. Introducing POW Spiral - our Potato Wagons with Fried Potato Spirals. Introducing Real home-made food for older and disabled people. (c) 2014-2018 Medison Limited. All Rights Reserved.